Victor M. Montori, MD is a Professor of Medicine at Mayo Clinic. 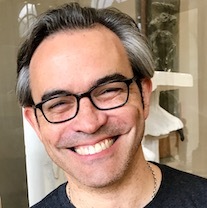 An endocrinologist and health services researcher, Dr. Montori is the author of more than 600 peer‐reviewed publications and is among the top 1% of researchers with most cited papers in clinical medicine worldwide in the last decade. He is a Senior Advisor in the Center for Evidence and Practice Improvement at the Agency for Healthcare Quality and Research of the US Government. He also serves in the Editorial Advisory Board of the BMJ, and as Director of Late Stage Translational Research at the Mayo Center for Clinical and Translational Science. He is a recognized expert in evidence‐based medicine and shared decision making, and developer of the concept of minimally disruptive medicine. He works in Rochester, Minnesota, at Mayo Clinic's KER Unit, to advance person‐centered care for patients with diabetes and other chronic conditions. He recently published the book Why We Revolt – a Patient Revolution for Careful and Kind Care. Gale Adcock describes herself as a nurse by grace, a North Carolinian by choice and a politician by necessity. She received a BSN from ECU and an MSN from UNC Chapel Hill. In addition to being a primary care clinician, she is a writer, national speaker, advocate and activist. She is adjunct faculty at Duke, East Carolina University and UNC-Chapel Hill. She is a Fellow of the American Academy of Nurse Practitioners and a Fellow of the American Academy of Nursing. Adcock is Chief Health Officer for global software company SAS Institute where she leads a 58 member staff to deliver free primary care to 14,000 SAS employees and family members of all ages. Adcock’s multidisciplinary team consistently helps SAS stay in Fortune’s annual 100 Best Places to Work and saves the company $8 Million a year in avoided medical claims costs. Adcock served 7 years on the Cary Town Council before running in a competitive race for the NC House in 2014. She is now serving her third term. She is the first advanced practice registered nurse ever elected to the North Carolina General Assembly. Representative Adcock has been recognized by the NC League of Conservation Voters for her pro-environment record, by Democracy North Carolina for transparency in campaign finance reporting, as a ‘Champion for Health’ by the NC Alliance for Health and as the 2017 ‘Legislator of the Year’ by the NC Nurses Association. She is recognized as a common sense leader, a health care expert and a local government advocate who successfully works across the aisle. 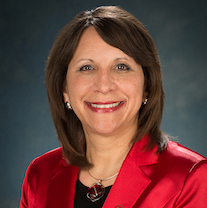 Bernadette Mazurek Melnyk is the Executive Director & Founder of the Helene Fuld Health Trust National Institute for Evidence-based Practice in Nursing and Healthcare, Vice President for Health Promotion, University Chief Wellness Officer, and Professor and Dean of the College of Nursing at The Ohio State University. She also is a professor of pediatrics and psychiatry at Ohio State’s College of Medicine. Dr. Melnyk earned her Bachelor of Science in Nursing degree from West Virginia University, her Master of Science degree with a specialization in nursing care of children and pediatric nurse practitioner from the University of Pittsburgh, and her PhD in clinical research from the University of Rochester where she also completed her post-master’s certificate as a psychiatric mental health nurse practitioner. She is a nationally/ internationally recognized expert in evidence-based practice, intervention research, child and adolescent mental health, and health and wellness, and is a frequent keynote speaker at national and international conferences on these topics. Dr. Melnyk has consulted with hundreds of healthcare systems and colleges throughout the nation and globe on how to improve quality of care and patient outcomes through implementing and sustaining evidence-based practice. Her record includes over 19 million dollars of sponsored funding from federal agencies as principal investigator and over 300 publications. Dr. Melnyk is co-editor of five books, Implementing the Evidence-Based Practice (EBP) Competencies in Healthcare: A Practical Guide for Improving Quality, Safety, and Outcomes; Evidence-based Practice in Nursing & Healthcare: A Guide to Best Practice (3rd Ed), an American Journal of Nursing Research Book of the Year Award winner; Implementing EBP: Real World Success Stories; A Practical Guide to Child and Adolescent Mental Health Screening, Early Intervention and Health Promotion (2nd Ed); and Intervention Research: Designing, Conducting, Analyzing and Funding, also an American Journal of Nursing Research Book of the Year Award winner. Dr. Melnyk is an elected fellow of the National Academy of Medicine, the American Academy of Nursing, the National Academies of Practice, and the American Association of Nurse Practitioners. She served a four-year term on the 16-member United States Preventive Services Task Force and the National Institutes of Health’s National Advisory Council for Nursing Research. She currently serves as a member of the National Quality Forum’s (NQF) Behavioral Health Standing Committee. Dr. Melnyk also serves as editor of the journal, Worldviews on Evidence-based Nursing, and is a board member of the National Guideline Clearinghouse and the National Quality Measures Clearinghouse (NGC/NQMC) Dr. Melnyk has received numerous national and international awards, including the Audrey Hepburn Award, Mary Tolle Wright Excellence in Leadership Award, and the International Nursing Research Hall of Fame Award from Sigma Theta Tau International, the Jessie Scott Award from the American Nurses Association for the improvement of healthcare quality through the integration of research, education and practice, the 2012 Midwest Nursing Research Society Senior Scientist award, the NIH/National Institute of Nursing Research’s inaugural director’s lectureship award, and the National Organization of Nurse Practitioner Faculties Lifetime Achievement Award. She also has been recognized as an Edge Runner twice by the American Academy of Nursing for founding and directing the National Association of Pediatric Nurse Practitioners’ KySS child and adolescent mental health program and her COPE Program for parents of preterm infants. Dr. Melnyk recently founded the National Interprofessional Education and Practice Collaborative to advance the Department of Health and Human Services’ Million Hearts® initiative to prevent one million heart attacks and strokes by 2017. She also created and chaired the first two National Summits on Building Healthy Academic Communities in April of 2013 and 2015, and founded the National Consortium for Building Healthy Academic Communities, a collaborative organization to improve population health in the nation’s institutions of higher learning, for which she serves as its first president. Lynn Gallagher-Ford is senior director and clinical core director, Fuld Institute for EBP, and clinical associate professor, College of Nursing, all at The Ohio State University, where her work is dedicated to research, education and consultation focused on the development, promotion, integration, implementation and sustainability of evidence-based practice in both academic and clinical settings. Gallagher-Ford’s clinical background in maternal-child health and nursing administration spans 30 years. She served in a variety of roles ranging from bedside clinician to chief nursing officer, in which she gained extensive experience and expertise in teaching and implementing evidence-based practice in real-world clinical settings. Gallagher-Ford is currently active as a consultant, facilitator and keynote presenter at national and international conferences and education programs. Gallagher-Ford co-edited the book Implementing the EBP Competencies in Healthcare; A Practical Guide for Improving Quality, Safety & Outcomes. Her publications include co-authorship of multiple studies that have had a dramatic impact on the current body of knowledge about evidence-based practice and influenced strategic imperatives to address new challenges. She also contributed as a lead author in the American Journal of Nursing EBP Series, which received the Sigma Theta Tau Publication Award for 2011. 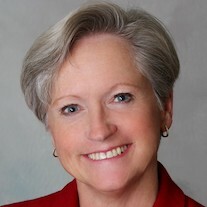 She serves as assistant editor of Worldviews on Evidence-Based Nursing and is the editor of the column “Implementing and Sustaining EBP in Real-World Healthcare Settings,” which features best evidence-based strategies and innovative ideas on how to promote and sustain evidence-based practices and cultures in clinical organizations. Gallagher-Ford’s research is focused on the science behind evidence-based practice, with particular focus on the influence of nurse leaders and contextual issues. She was inducted into the National Academies of Practice and the Nursing Academy as a Distinguished Practitioner and Fellow in 2013 and the American Academy of Nursing as a fellow in 2017. Sharon Tucker, PhD, RN, APRN-CNS, F-NAP, FAAN is the Grayce Sills Endowed Professor in Psychiatric-Mental Health Nursing in the College of Nursing at The Ohio State University and Director for the Implementation Science Core of the newly established Helene Fuld Heath Trust National Institute for Evidence-Based Practice (EBP). A board (ANCC) certified adult psychiatric mental health clinical nurse specialist and behavioral researcher, Dr. Tucker studies interventions to promote health and wellness, prevent disease, and reduce stress and risks among families, particularly among working mothers and children. Her interventions include environmental strategies, cognitive behavioral interventions, and motivational interviewing, which she teaches and studies. Dr. Tucker is a recognized expert in evidence-based practice (EBP), implementation science, and quality improvement. She served as director of research, EBP and quality for two Magnet-designated, large hospitals in academic medical centers (University of Iowa Hospitals and Clinics and Mayo Clinic) for 15 years prior to joining OSU in 2017. Research and EBP outcomes were recognized by the Magnet surveyors as exemplary for both hospitals. Dr. Tucker led her team at the University of Iowa (UI) Hospitals and Clinics in the writing of a successful competitive application for the prestigious Magnet Prize, which was awarded in 2014 for their legacy work in EBP. In partnership with the UI College of Nursing, they were also awarded recognitions for collaborative partnerships by the American Association of Colleges of Nursing in 2014 and the Midwest Nursing Research Society in 2017. Dr. Tucker developed and published the Evidence-Based Practice Self-Efficacy Scale in 2009, and since tracking its use beginning in 2013, the scale has been requested over 1340 times coming from 30 countries. She is co-author of two books on EBP, one published in 2008 titled Evidence-based nursing care guidelines: Medical-surgical interventions (St. Louis, MO: Mosby Elsevier) and one just published titled Evidence-based practice in action: Comprehensive strategies, tools and tips from the University of Iowa Hospitals and Clinics (Indianapolis: Sigma Theta Tau International Honor Society of Nursing). She has written multiple papers and chapters on EBP and implementation aimed to advance safe, high quality clinical nursing care. Dr. Tucker earned her BSN from the College of Saint Teresa in Winona, Minnesota, a MSN from the University of Wisconsin at Eau Claire, and her PhD in Nursing from Rush University in Chicago. She is an alumna of the Robert Wood Johnson Executive Nurse Fellows Program (2007 Cohort) and was elected as a fellow of the American Academy of Nursing in 2014. 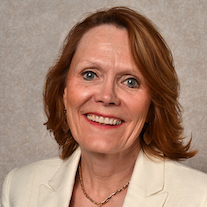 In addition to her research and teaching responsibilities, she has been on the Board of Directors for the Midwest Nursing Research Society since 2015 and currently serves as treasurer. She is the associate editor of Worldviews in Evidence-based Nursing; a member of the Advisory Board for Evidence-Based Practice in Nursing and Healthcare 4th Edition (Melynk & Fineout-Overholt); and appointed member of the Editorial Advisory Board of the Journal of School Nursing. She regularly reviews conference abstracts, grants, and manuscripts for several interdisciplinary and nursing journals. As Director of the Academic Core, Cindy Zellefrow has travelled the world presenting, teaching, consulting and collaborating with faculty about Evidence-based Practice (EBP) in both academic and clinical environments. She is actively engaged in research and publishing about various aspects of EBP, including EBP teaching, integration and competency. Her current work includes conducting the first U.S. national study on EBP in nursing academics. Zellefrow is a contributing author to several textbooks about EBP and has created online interactive EBP education resources for textbooks as well. 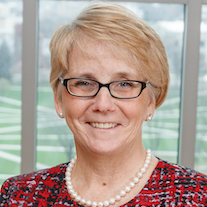 As faculty in the OSU College of Nursing, she teaches EBP and mentors faculty from multiple disciplines on EBP integration into courses and across curricula. Her clinical practice background includes 15 years in adult ICU, ED and critical care transport and 15 years in school nursing.